Not long ago, I too used traditional grout. When I developed a severe skin allergy several years ago, I was told by my doctors that grout might be the culprit and to stop using it. This lead me on the path of coming up with a replacement. I am excited to say that after many years of experimenting I have formulated my glues and GlamGrout™. and sparkle to your artwork without the fumes or mess. The colors can be blended together and layered, creating different color combinations. Lilac, Silver, Brown, Purple, Teal. Please watch my YouTube video for instructions on how to use it. I have had the opportunity to use GlamGrout on several occasions. As a mosaic artist, I have used it for personal use as well as with young teenagers to whom I have taught. It is such a great product. First of all, there is not the mess that you find with regular grout. Most importantly though, it is so easy to use and the projects turn out beautifully. Even my beginning students were able to use this product with ease. I highly recommend GlamGrout and I am thrilled that it will be available for future projects. GlamGrout is a sure way to bring your art to life. You can tie a composition together, highlight an area, or even obscure something. It is fun to work with and I'm sure you will love this product. Highly recommended. My introduction to GlamGrout was during a two day Glimmerglass mosaic workshop under the guidance of Jacqui Ridley. One of my true passions has been creating mosaics, something I enjoyed many years ago but put aside simply because the process became too much work, which took away from creative enjoyment. The challenge and flow of creating is what I love, cleaning up and storing grout and other polymers became a task. GlamGrout, an enticing product, flows with your design and invites you to push all creative pathways.. Thanks to Artist, inventor and teacher Jacqui Ridley for making this product available to the masses both artists and curious creators alike. The combinations of colorful glamgrout will keep you creating all day long. Enjoy! I know I will. I took Jacqui’s class in the Spring and was introduced to GlamGrout. First of all, it is gorgeous and the colors complimented the different medias that I used in my project. It was easy to use and I highly recommend it for anyone who is doing a mosaic or art project. 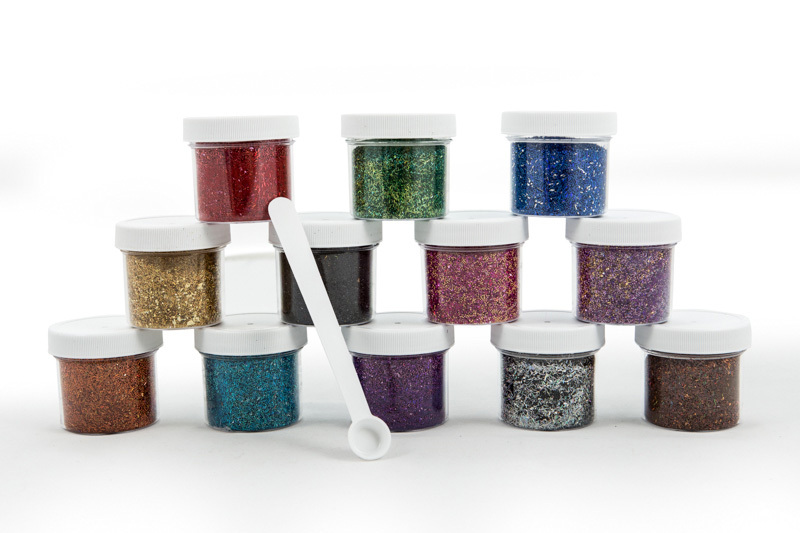 CLICK HERE TO PURCHASE GLAMGROUT™ FROM OUR ETSY STORE. 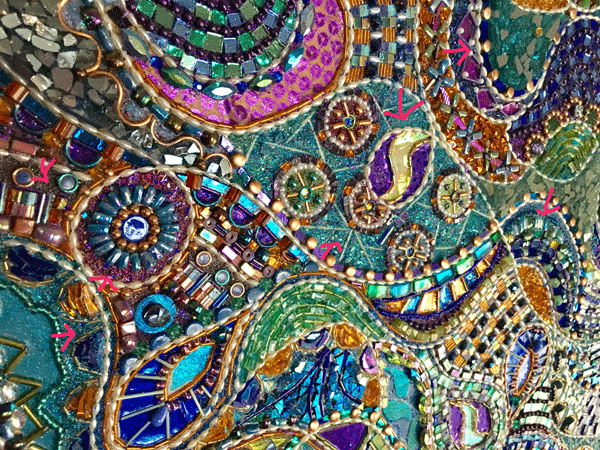 Detail image showing GlamGrout™ used in mosaic.